Bangi Resort Hotel is a 256 guestrooms hotel built in the style of low-rise Mediterranean Villa andset amidst six acres of lush tropical gardens. 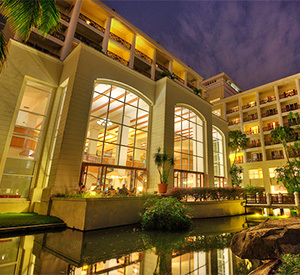 This picturesque 5-star nature conference resort has built a strong reputation as a MICE venue with its extensive function facilities catering up to 750 guests. 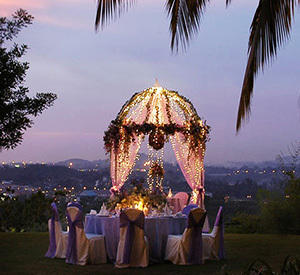 Complemented by an impressive line of dining options with certified Halal Kitchen and equipped with state of the art audio-visual equipment and high speed internet, Bangi Resort Hotel is well-poised to customize the perfect event for you. Located midway between the KL International Airport in Sepang, Putrajaya and the KL City Centre, Bangi Resort Hotel lies strategically in the centre of Bandar Baru Bangi and is easily accessible from the PLUS, LDP, SKVE and SILK highways. Our management and team are passionate about delivering its customers an unforgettable experience.